When you're carrying precious cargo - whether it's parcels or people - you need tyres you can rely on. The Rain Max 2 has special arrow-shaped grooves on its tread, as well as three large circumferential channels, which force water away from the tyre, protecting you from aquaplaning. 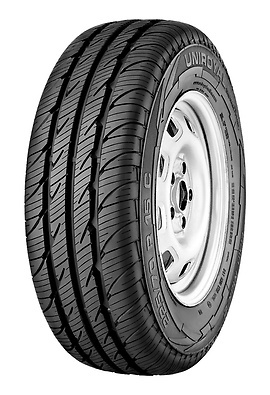 The tyre has a completely new tread pattern structure, with an increased number of grooves, to cut through road surface water, and multiple gripping edges. These give you short braking distances on wet and dry roads, as well as improved handling and optimised cornering stability. The stiff tread ribs and lateral grooves provide an even pressure distribution when the tyre meets the road surface. This reduces friction, giving you grater fuel economy and increases the tyre's long service life.